Woven on traditional shuttle looms, selvedge denim has a crisply finished, fray-resistant edge that you can see when you cuff the jeans. A lot of selvedge is also raw denim, a favorite among denim lovers because it becomes unique with wear. 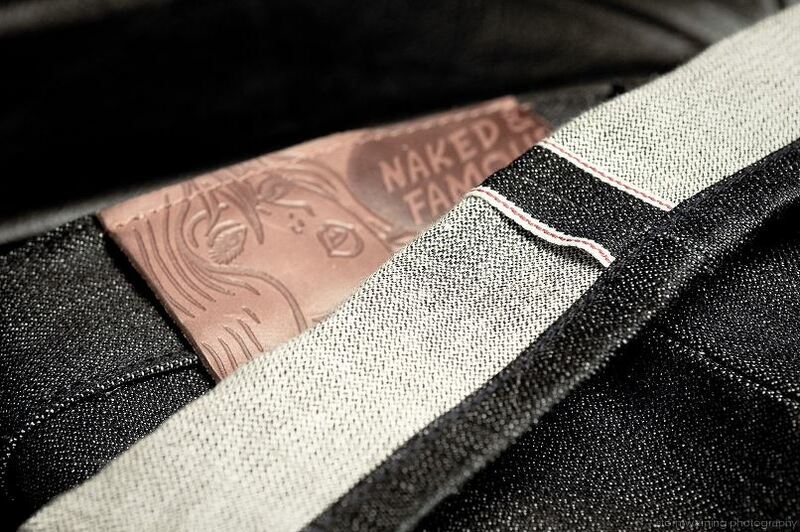 The "self edge" of selvedge denim comes from a continuous-thread weaving method of traditional American denim looms. These traditional looms were replaced by larger, faster looms during times of soaring mass-market demand for jeans in the 1940’s, but their craftsmanship was left unmatched. You can identify selvedge denim by the distinct seam, typically white and a colored thread, on the outside seam of a pair of cuffed jeans. Selvage is the edge of a fabric as it comes from the loom. Selvages are woven or knit so that they will not fray, ravel, or curl. 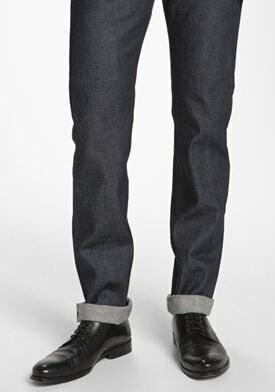 Selvage denim refers to a unique type of selvage that is made by means of using one continuous cross-yarn (the weft), which is passed back and forth through the vertical warp beams. Are you looking for the perfect pair of denim jeans to add to your wardrobe? You may want to also learn about ripped jeans.